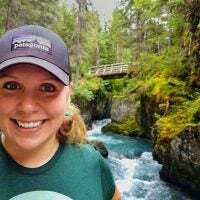 This fire tower guide is brought to you by our friends at Midland radio whose emergency hand crank radios can notify you of incoming storms, charge your cell phone, and play tunes, even when you’re camping high in the sky. Over a century ago, a wildfire of epic proportions burned through the Western United States. The Great Fire of 1910 killed 85 people and burned 3 million acres in North Idaho, Western Montana, Eastern Washington, and Southeast British Columbia. 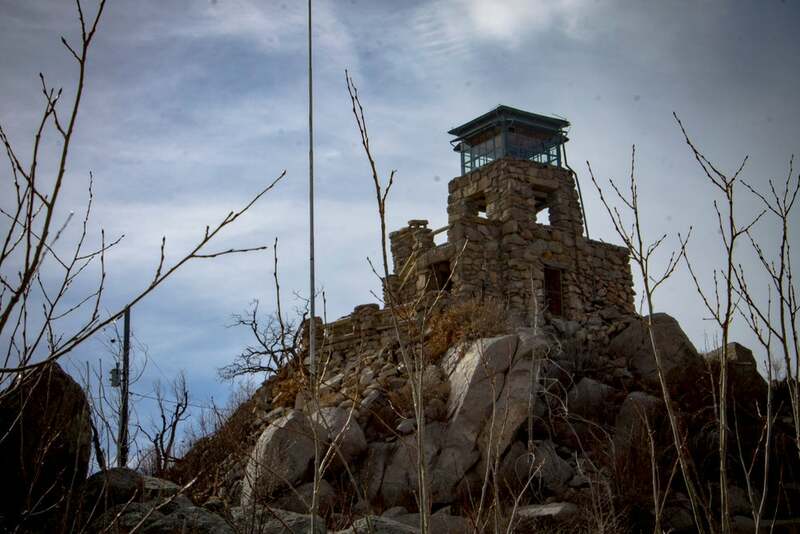 The devastation prompted the Forest Service to prioritize early fire detection, and the Forest Service began building fire lookout towers across the country. These buildings are small one-room cabins typically on stilts ranging in height – some are over 50 feet tall! However, some lookouts are closer to the ground. Many are simply cabins on bald mountain tops or perched on a 1-story foundation. Today, many fire towers are no longer used for fire surveillance, as satellites and improved fire detection technology have replaced them. 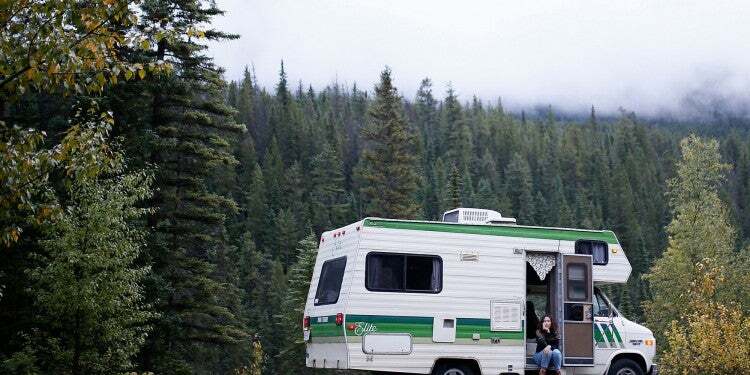 Some of these retired lookouts are maintained as scenic vista points for the public and some serve as overnight rentals for adventurous campers. After the fire of 1910, also called “When the Mountains Roared,” the Forest Service along with the Civilian Conservation Corps (CCC) built over 5,000 fire lookouts across the country. Most fire towers are built on stilts above the treeline, but some are small cabins perched atop rocky summits. People called fire spotters would sit in the small room of the lookout and watch for lightening strikes and smoke plumes. When they spotted a fire, they notify the fire suppression team. They would typically monitor a 20-mile radius around the tower. In 1911, William Bushnell Osborne Jr., a U.S. Forest Service forester, invented a “firefinder.” His invention is a rotating steel disc with sighting mechanisms attached. This instrument was called the Osborne Firefinder and allowed spotters in the tower to quickly and accurately pinpoint the geographic location of a fire by sighting smoke through the sighting mechanisms. While some modifications were made throughout the years, the Osborne Firefinder was widely used by the Forest Service throughout the 20th century. Early fire spotters used the Osborne Firefinder along with a mirror device called a heliograph to send Morse code messages. Later on, spotters still used Osborne’s invention, but their communication improved with portable two-way radios that became the standard communication equipment. The use of fire towers peaked in the late 1930’s with more than 800 active towers manned every summer. By the 1950’s, only a few hundred towers were in service. By 1964, the number of towers in service dropped to 250. Fire towers are no longer the primary fire surveillance method due to the development of infrared technology and the use of aircraft. Many retired fire towers that fell into disrepair were eventually torn down to save the time and financial expenses of maintaining the structures. 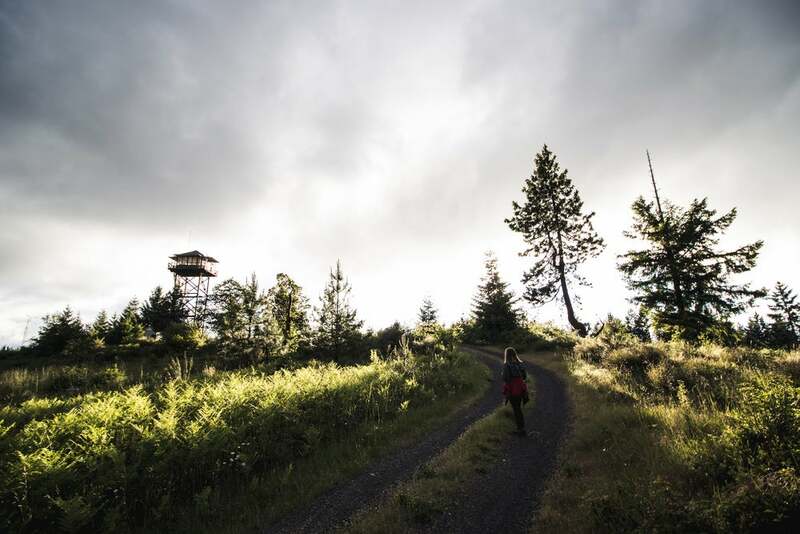 Today, the heritage of these fire towers are being preserved and maintained by various volunteer organizations like the Forest Fire Lookout Association. Campers have an opportunity for a unique outdoor recreation experience by staying the night in a fire tower. 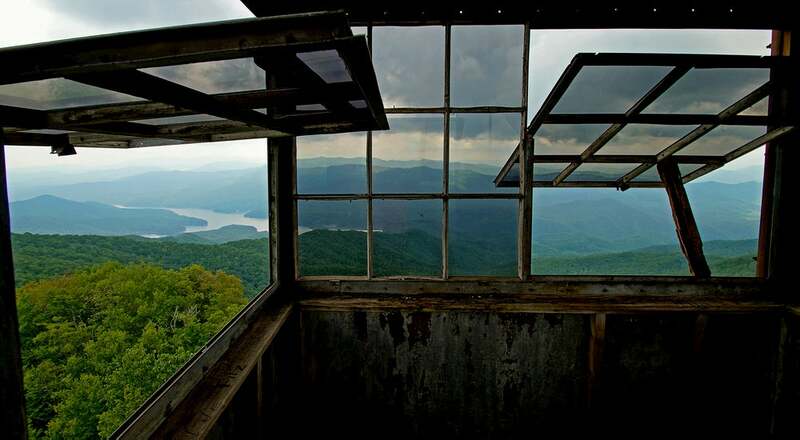 Averaging $30 to $60 per night, the rustic and primitive lookouts are reserved through Recreation.gov. Fire lookouts book up quickly, so plan on reserving your tower months in advance. The allure of staying in fire lookouts is the 360° view, but don’t expect these historic structures to be packed with amenities. Towers are equipped with the bare basics. Some have a table, chairs, woodstove, and bunks or a thin mattress. While others have nothing but walls and windows. And most do not have electricity or toilets. Guests need to provide their own water, firewood, and sleeping bags or bedding. It’s also a good idea to call the local ranger station before you go, and check-in with them when you arrive. Many fire towers are locked, and the local rangers will provide access instructions and the key for guests. At the end of your stay, make sure to pack out all of your waste and leave the cabin in the same condition or better than how you found it. Fire lookouts are generally safe, but they still involve a degree of risk. Before your trip, there are some factors to consider. 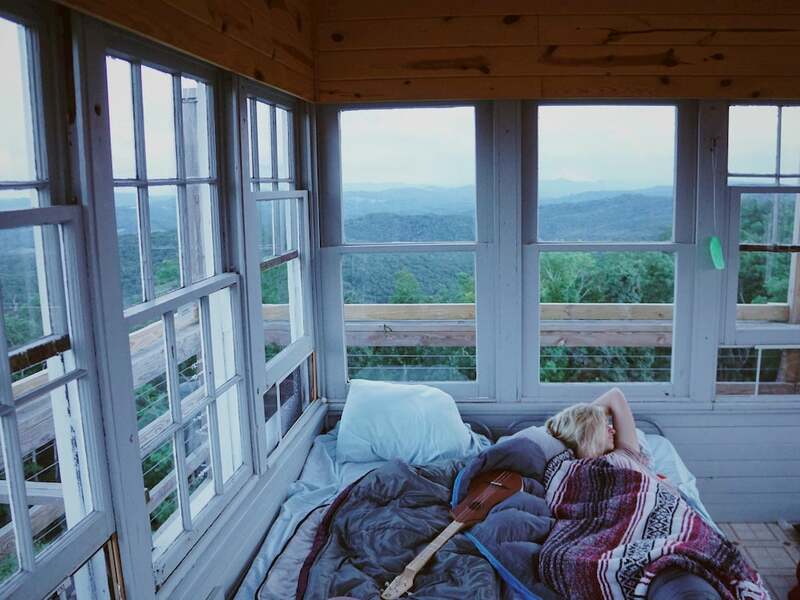 A storm certainly adds another degree of thrill while staying in a fire tower. Ask the local ranger about lighting safety and what to do in the event of a storm. It’s a good idea to bring an emergency radio with NOAA weather alerts. 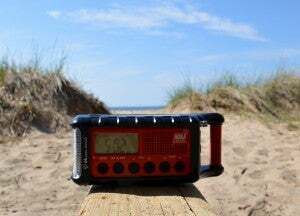 This type of radio can provide severe weather alerts before the weather strikes, giving you time to take cover and prepare. The Forest Service strongly discourages parents from bringing children under 12 to fire towers. They also recommend that people afraid of heights or lacking physical strength should not attempt to climb up the lookout. The ladders to access most fire towers are steep and tall, and you’ll be making multiple trips up and down the stairs. These fire towers offer a range of camping experiences. Some of them can be booked for overnight stays, while others are simply accessible for a visit and a view, before camping in the surrounding region. Either way, you’ll get a unique outlook on the area from these towers in the sky. Photo from The Dyrt camper Justin W.
This colossal lookout, built in 1939, stands at a whopping 110 feet tall with 133 metal steps. Originally Hickory Ridge was one of 9 towers in Hoosier National Forest. Throughout the years the other 8 have been torn down, and Hickory Ridge is the last fire tower standing in the national forest. In 1990, the tower was added to the National Historic Lookout Register, becoming the 4th lookout listed nationally and Indiana’s first registered tower. Today, this tower is only for observation, but the surrounding area offers plenty of dispersed camping. Photo from The Dyrt camper Jim H.
Perched on the summit of Squaw Mountain, this tower sits at 11,500 feet elevation, atop a stone base built out of the nearby native granite. This is one of the more luxurious towers available, offering a stove, refrigerator, heat, beds, table, chairs, cookware, dishes, and even an incinerating toilet. Located on the North Carolina side of the Great Smoky Mountains National Park, this fire lookout was built in 1934 and is one of four towers left standing in the national park. From the top of the 60-foot tower you have 360-degree views of the Great Smoky, Unicoi, Snowbird, Nantahala, and Blue Ridge mountain ranges. The lookout’s website mentions that the 60-foot tower has fallen into disrepair, so please take extreme caution if you decide to climb the 78 stairs for a view. 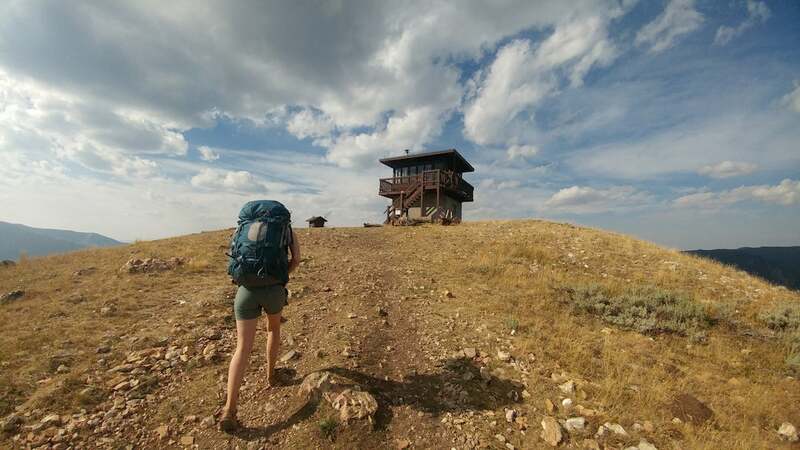 Built in the 1950’s and standing at 9,600 feet, this lookout is near the Bighorn National Forest and offers panoramic views of the Cloud Peak Wilderness and Powder River Basin. From the viewing platform on a clear day, guests can see even see Devils Tower National Monument. The tower itself offers a vault toilet and a single set of bunk beds. 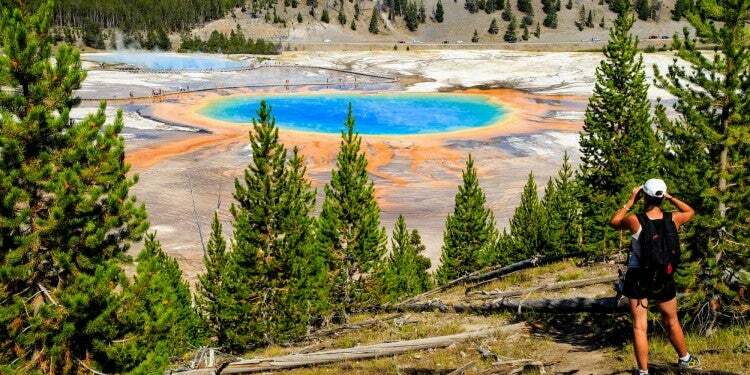 Guests should bring all of their water and remember to “pack-it-in, pack-it-out.” This is a popular destination, so visitors should not expect complete solitude. Located in Northern California’s Plumas National Forest, this tower was constructed by the Civilian Conservation Corps (CCC) in 1934. The lookout is a single story and well-preserved. Overnight guests can use the two single beds in the lookout or camp in the single campsite adjacent to the tower. The lookout is one of the few with electricity. Guests can enjoy the refrigerator, small stove, heater, and lighting. Photo from The Dyrt camper Asher K.
The Wesser Bald Fire Tower was originally built in 1936, but was burned down in 1979. The U.S. Forest Service rebuilt the lookout in 1990. However, instead of rebuilding the entire cabin, they only built an observation deck without walls or a roof . The 30-foot viewing platform is on the Appalachian Trail in the Great Smoky Mountains National Park. Like the Shustack lookout, Wesser Bald also provides visitors with sweeping views of the Smoky mountains and Nantahala National Forest. Located in the Kootenai National Forest, the original fire tower on top of Yaak mountain was 48 feet tall and built in 1930. After 27 years of use, the structure fell into disrepair with untreated lumber that rotted and hungry porcupines who chewed through the floors. The Forest Service decided to build a new 41-foot tower with longer lasting pressure-treated timber. This historic tower was originally built in 1936, reconstructed in 1940, and restored in 2006. The Monjeau is a stone tower on the summit of Monjeau Peak and considered “the jewel of the Southwest” by the Forest Fire Lookout Association. Photo from The Dyrt camper Ian D.
This fire tower is located in the scenic Gallatin Gateway just north of Big Sky and West Yellowstone. While the original structure was built in 1930, the tower was completely rebuilt in 1962. 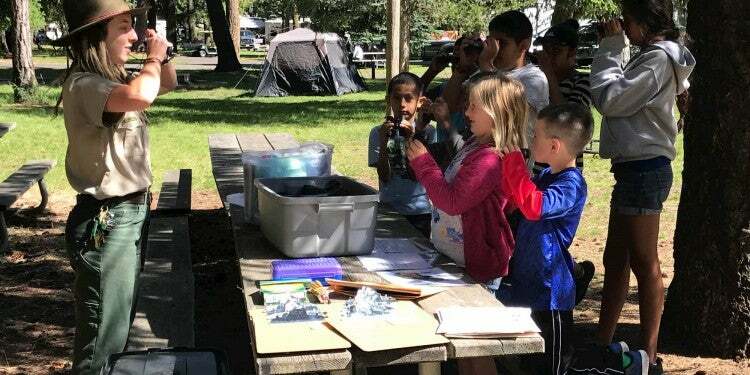 Campers should take proper precautions as grizzly bears and wolves–along with other big game–are extremely common in this area. 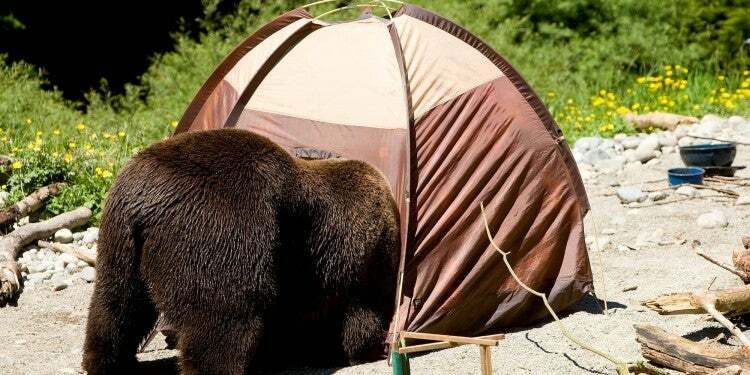 Before you camp here brush up on your bear safety. The Clearwater Lookout cabin is a small wood cabin sitting atop a grassy clearing next to the decommissioned 94-foot fire lookout tower. The actual lookout is no longer accessible to the public and climbing the tower is prohibited. But the cabin, perched at 5,600 feet, still offers excellent views of the rugged Blue Mountain wilderness. It’s furnished with 4 single beds and propane-powered lights, heater, refrigerator, and stove. Guest will need to bring their own cookware, utensils, bedding, and water. Sitting at 5,600 feet in the Mount Baker-Snoqualmie National Forest, this historic fire tower was used for more than just spotting lightning strikes and smoke plumes. During World War II this lookout was used as an Aircraft Warning Station. Built in 1935, this was an active fire tower through the early 1980’s and restored in the 1990’s. The tower sleeps 4 with one twin bed and 3 extra mattresses. It’s furnished with a table, chairs, propane stove, battery powered lanterns, and even a coffee pot. Guest will need to bring their bedding and water. 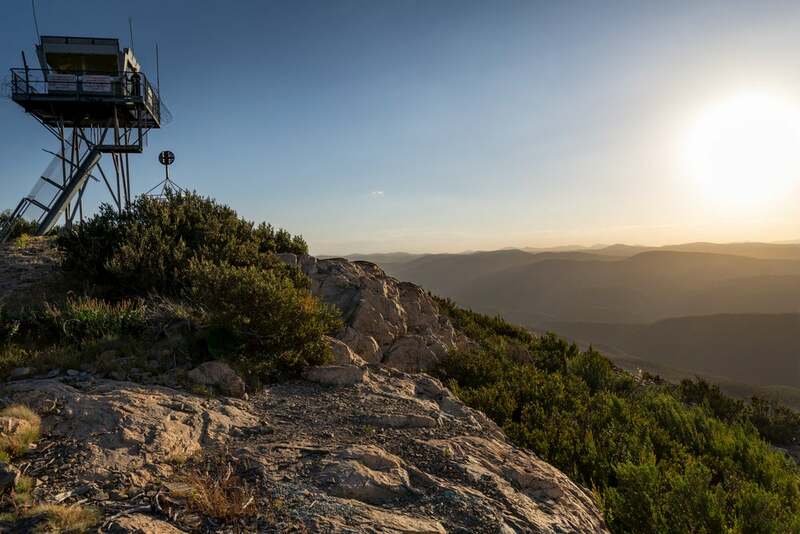 This lookout in southern Oregon offers views of the high Oregon desert, California, and Nevada. It was built in 1948 and sits at 8,200 feet elevation on top of the ridge of the Warner Mountain Range. The historic lookout still has an Osborne Firefinder, so visitors can have a firsthand experience with the fire locating apparatus. The tower has 4 folding cots, table, chairs, woodstove, and picnic table outside. 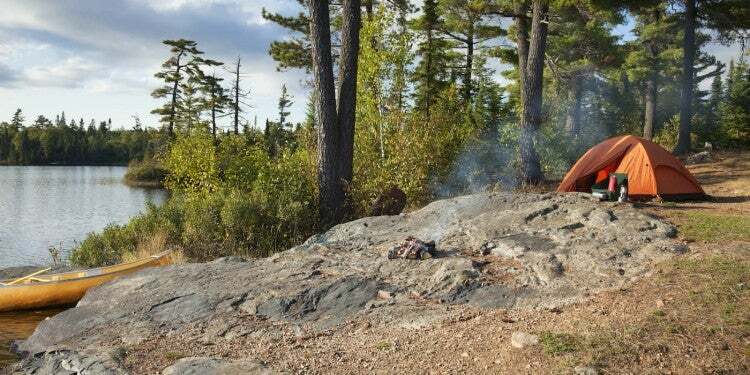 Similar to the previous fire towers, guest need to provide their own bedding, cooking equipment, and firewood. It is also recommended that you bring all your water with you. However, Mud Creek campground is only 6 miles away, and you can fill water jugs there. 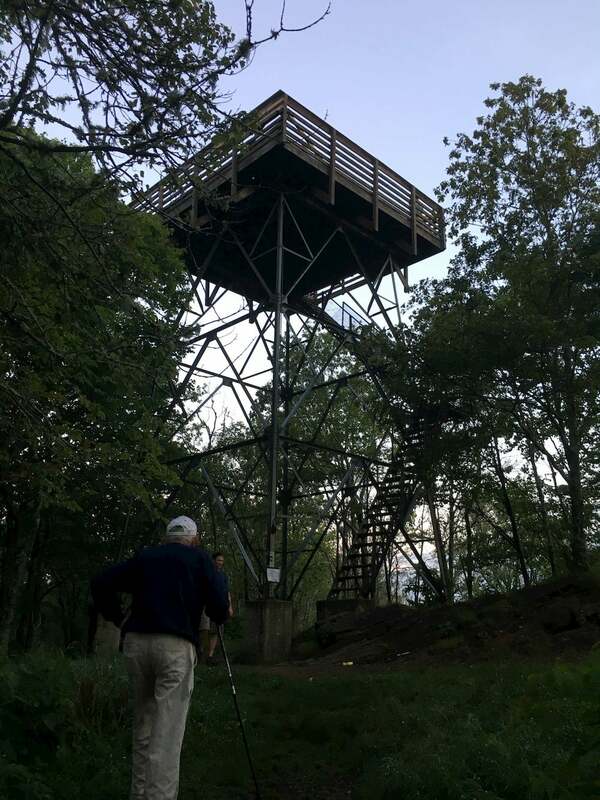 Photo from The Dyrt camper Hannah V.
The final fire tower on the list is an icon of West Virginia’s oldest and second largest forest–Seneca State Forest. Visitors can climb the 65-foot tower for stunning views of the forested hills of Pocahontas County. The only amenities the tower offers—besides spectacular views—are two cots and four folding chairs. Overnight guests must carry in all of their supplies including water. The Dyrt camper Dave V. called his stay at Thorny Mountain a rare opportunity he would do again in a heartbeat. 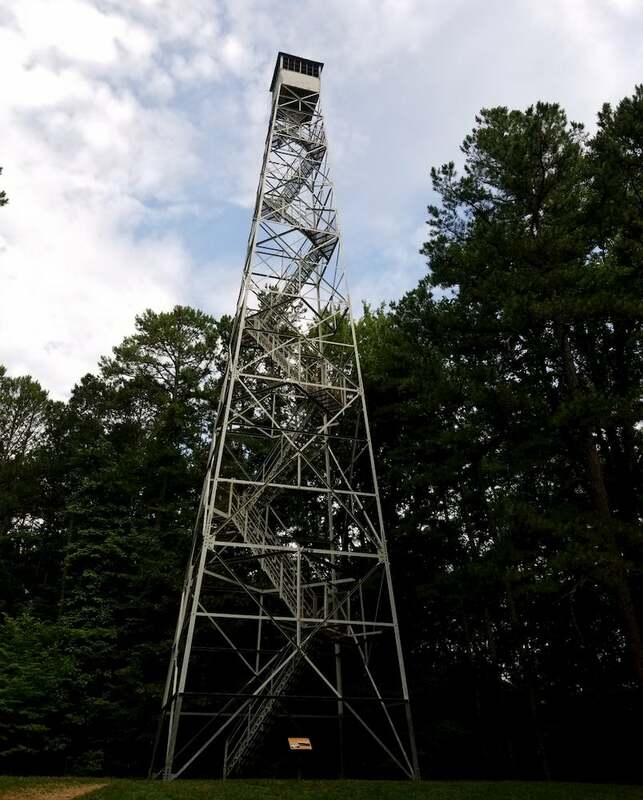 This fire tower article was brought to you by our friends at Midland radio. Pick up your emergency weather radio today!